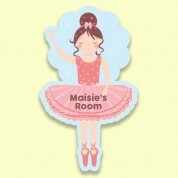 The perfect addition to any little Ballerinas bedroom! 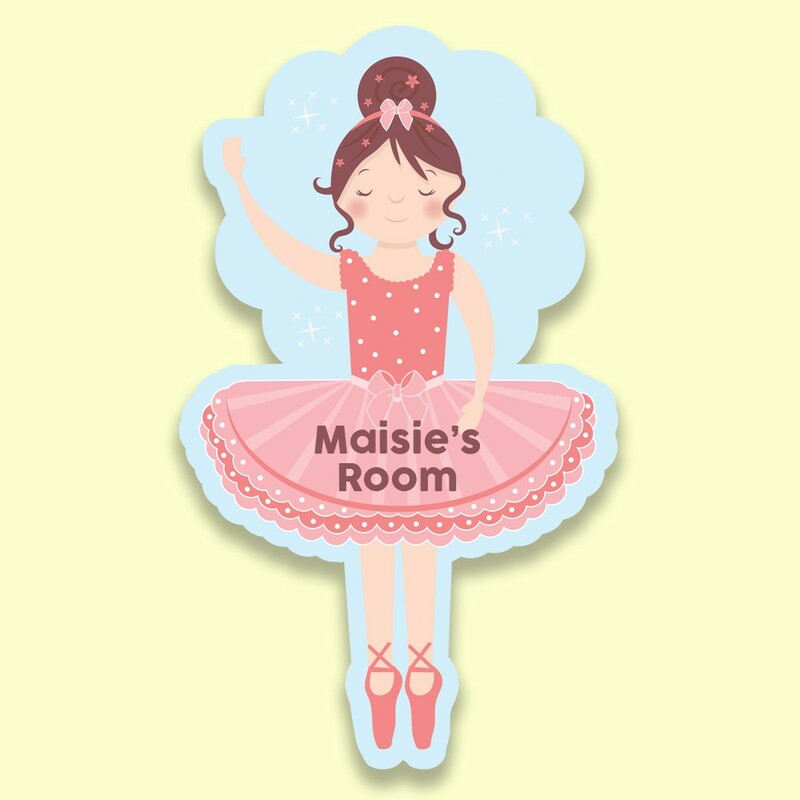 Our pretty ballerina door plaque will be loved for years to come, with an adorable ballerina design and her name included. Our little ballerina is carefully in position in front of a blue back drop. As she dances, sparkles appear around her and the crowd go wild! Your girls name is written on her tutu. She wont be able to take her eyes off the colourful design and will love to read her name on it as she gets older. All of our customised door plaques are personalised and printed in the UK. Our team of designers print each one individually, making every one a truly unique keepsake for the child. The recipient is sure to own nothing quite like it. 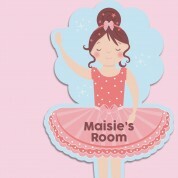 We think the unique door sign makes a wonderful gift for any little girl's special occasion – especially a birthday. 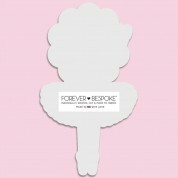 Each plaque includes sticky pads for easy assembly. Matching Clock also available! Buy together and save £2.95 postage and packing fees!